Are you looking for the best protection for your Surface Pro 4? This is the ultimate list of the BEST Surface Pro 4 cases you can buy in 2017 to protect your device from drops, scratches, scrapes, and other damages. One of the main selling points of the Microsoft Surface Pro 4 is its convertible design with the full power of a high-end laptop. It packs with a 12.3-inch PixelSense touchscreen display technology and a powerful 6th Generation of Intel Core processor. 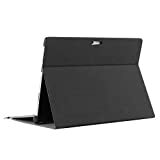 On the other hand, a Surface Pro 4 is not often a cheap purchase, so you will probably want a decent case or cover to protect it. 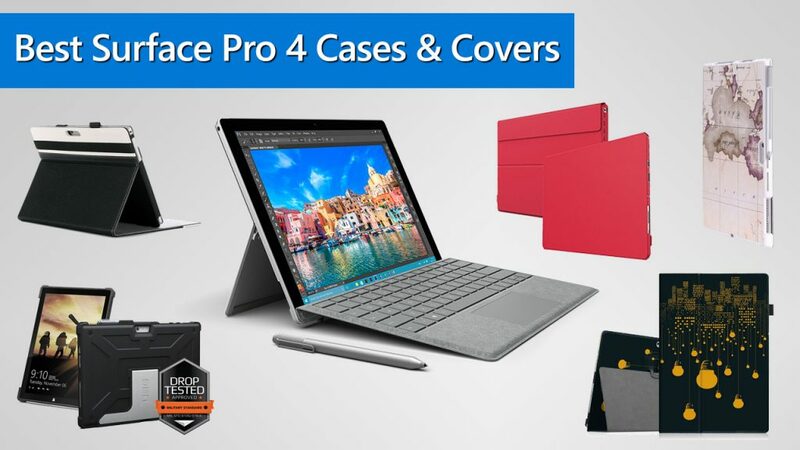 We have put together some of our top choices in Microsoft Surface Pro 4 cases and covers. Whatever case or cover you need in terms of protection, style, function, or price tag – there’s choice here for you. Full device’s features and protection. Included a flexible silicone hand strap. Compatible with Surface Type Cover. Perfect cutouts for easy access. To start with, Kensington BlackBelt Rugged is a great case that providing best features and protection. The Kensington is a well-known company that qualified for Microsoft’s “Designed for Surface” program. As a protection, this case passed the Military-Grade Protection standard. It has a strong, rugged TPU body and raised bezel that can provide all-around protection for your Surface Pro 4. Hand Strap – this case has a flexible silicone hand strap allows you to hold your device with ease. 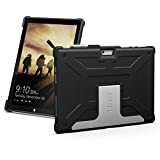 Compatible with Surface Type Cover – you can easily attach or detach and turn backside the type cover without removing the case. Moreover, this case also has a Type Cover Strap let you securely close the type cover. Surface Pen Holder – you can securely store your Surface Pen with built-in Surface Pen holder. Perfect Cutouts – you can take full access to device’s kickstand, ports, buttons, and cameras. The best-rugged case for Surface Pro 4. The Urban Armor Gear (UAG) Surface Pro 4 case features an extreme protection for your Surface 4 from serious drops and scratches. It has a built-in stylus holder for keeping your Surface Pen securely. This case also features an aluminum kickstand allows you reposition up to 3 angular positions. This UAG case is designed precisely for Surface Pro 4 by does not block any ports and buttons on your device. It also works perfectly with your Surface Pro Type Cover with multiple keyboard positions. With both protection of this case and type cover, your Surface Pro 4 now meets the military drop-test standards (MIL-STD 810G 516.6). 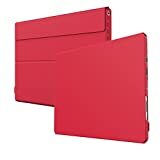 Compatible with Surface Pro 4 type cover. Made from premium composition leather exterior and soft interior. Built-in stand with multiple viewing angles. Available in black, purple, and brown. To start with, ProCases makes very classy covers and cases with high-quality leather, and the Folio is no exception. This folio case is made specifically for the 12,3″ Surface Pro 4 and also compatible with the Surface Pro 4 Type Cover. And you can access to all ports, buttons, and all features of your device. This case made of premium composition leather exterior and soft magic fiber interior that offer great protection for your device. With the Magic Stand design, you can adjust your device to any angles without collapsing. It can work with or without Type Cover and also supports the second angle of your Type Cover as well. This folio case available in black, brown and purple and is available from the Amazon. Precise cut for easy ports and buttons access. The next one is the Incipio Microsoft Surface Pro 4 Faraday case that features an all-around protection. It has a built-in secure pen holder to store the Surface Pen. 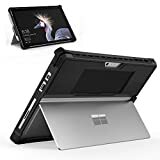 This case will not cover your Surface Pro 4’s screen bezel and work perfectly with your Surface Type Cover with multiple positions. This Incipio case allows you to use the full functionality of your Surface Pro integrated kickstand. This case will not block any ports and buttons on your device. If you want a lightweight case that can protect your device from drops, bumps or scratches, this case is the definite choice for you. Precise cut-outs for full access. Available in multiple colors and textures. Built-in stand only supports 3 viewing angles. 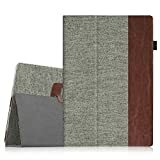 This is another folio case from Fintie that features an affordable price at Amazon. This folio case is made specifically for the 12.3-inch Surface Pro 4 tablet. It made from a premium PU leather for the exterior. The interior of this case made from a soft scratch-free microfiber material that can protect your device’s screen from scratches. 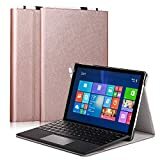 You can use this case with or without the Surface Type Cover. This case also has a built-in pen loop for storing your Surface Pen securely. One downside of this case is that it will not allow you to use the built-in kickstand. However, with the case’s stand, you can position your device up to three viewing angles. No bezels around the screen. No built-in Surface Pen holder. If owners that want a case that can use the device’s kickstand, the MoKo Smart Shell Stand case will be your affordable choice. This case design specifically for your 12.3″ Surface Pro 4 device. On top of that, it features an ultra slim and lightweight design while giving you broad choices of exterior design to express your personal style. In addition, it made from a premium PU leather exterior and microfiber interior to offer a great protection for your device. It will not cover your screen bezels, so it will not interfere with your gesture swipes or your Surface Type Cover. It is the most affordable All-in-one protective rugged case that has all great features you will love. It’s specifically designed for 12.3-inch Surface Pro 2017 and Pro 4. This Megoo folio case will add a good protection for your new Surface Pro (2017) or Surface Pro 4 with a slim and lightweight design. With precise cutouts, you can easily access all device’s ports and features. It also available in black, brown, gold, and gray. The classic design with premium PU material plus unique texture looks, it can be the right one for you. It also has a built-in a pen loop for securing your Surface Pen on the go. It is available in brown and rose gold. Those are the top cases that can provide the best protection with a stylish design for your Microsoft Surface Pro 4. If you want a light-weight and a stylish design, you would probably choose a case from Incipio or MoKo. For the best protection, the UAG case seems to be a great choice as it has been tested to meets military drop-test standards. 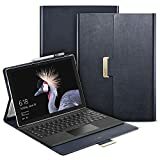 Note Updated April 2018: We have updated this cases and covers list make sure you will get only the best and latest protection for your Surface Pro 4. 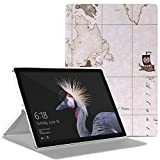 We appreciate hearing your thoughts, questions, and ideas about “The Best Microsoft Surface Pro 4 Cases and Covers in 2019”. Please post respectful comments and on topic. We will be replying back to you as soon as possible. 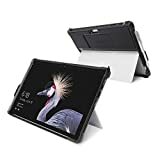 Share your idea about "The Best Microsoft Surface Pro 4 Cases and Covers in 2019".